Designed by Dynafit with efficiency in mind, the Race Pro Pack is one of the lightest and most streamlined backpacks around. But weight doesn't matter unless it’s easy to use under pressure with a sky-high heart rate and cold hands. Luckily, Dynafit delivers on both accounts. 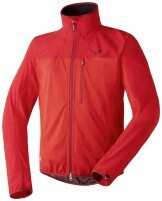 One large side zipper provides access to the main compartment. Inside you will find a waterproof security pocket and reservoir-compatible sleeve. A lightweight and flexible hip belt pairs with a sternum strap to give clear access to skin pockets and breathable shoulder straps minimize sweat buildup. 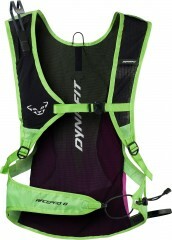 A large race-hook and reinforced ski carry loop make quick work of booter transitions. All-in-all this minimalist pack is built for speed inside or outside of the tape. Anatomic hip and chest belt ensure the pack doesn’t flop around. Ski-carry system is detachable for vertical races without a booting section. If you're looking at a small race pack (8L) than this is the go to over the others. I've been using this for all of my racing. It fits all of the required gear, but keep in mind you'll need a very small shovel and an 8-fold probe. I had the 8L ultimate direction pack and for some reason I always struggled to get the tails of my skis into the loop quickly. No problems here, dynafit has it dialed. Unlike the picture here this pack does not have the separate velcro crampon pouch, I think it would be a struggle to fit crampons in anyway. Does this pack feature a velcro-type bottom compartment (it appears so in the picture with a green pull-tab!) for storing an extra pair of skins? Hi Magnus, I do see the tab you are talking about. Unfortunately, the production version of this pack does not have a bottom compartment and that tab is decidedly absent. I have the 2014-15 version (i.e., with the black/white/red color scheme of the time, for some almost scary color coordination with pretty much everything else I have in the attached picture). I've been using it for all my races since then with the only exception of when I wanted a separate side-access bottom compartment that I could access without removing my pack. The eight-liter capacity is obviously small for "real" touring yet it's fine for racing. The waist "belt" system is wonderfully minimalistic yet still very comfortable. My older version has a more basic ski hook than the current version, yet I've never had a problem even with the older version. 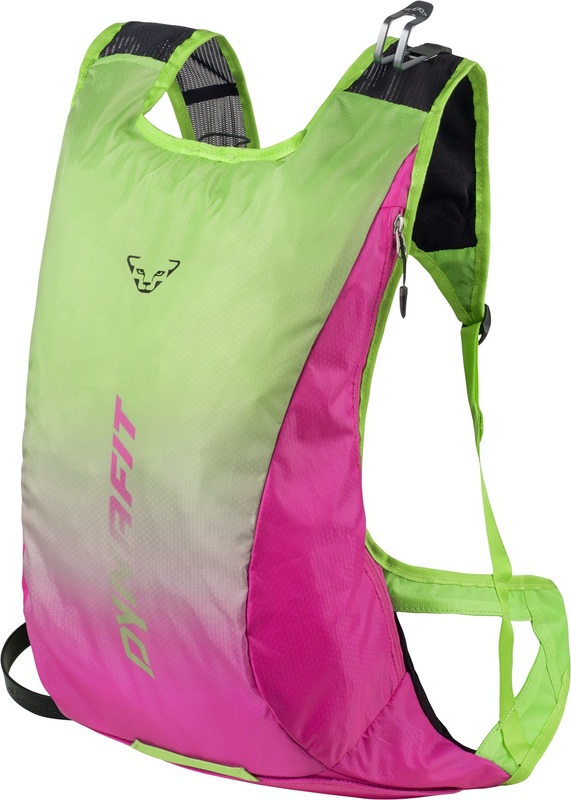 The only adjustment I have made is that I keep the right strap a few cm shorter than the left strap: this keeps the pack stable with skis attached when booting, as otherwise the pack can shift to one side (at least when it's carrying only a small hydration bladder with nothing else inside).